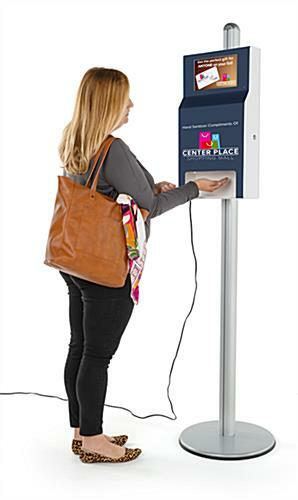 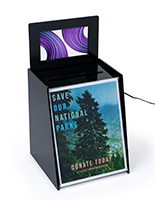 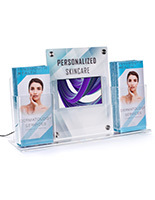 This custom hand sanitizer station with digital sign takes a traditional flu season staple and adds personalization and multimedia playback for a unique branding opportunity. 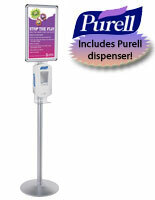 The Purell® soap dispenser can be mounted to the included post to make a freestanding unit or can be hung from a wall. 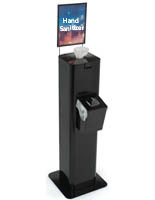 Your personalized graphics will be fixed to the front of the custom hand sanitizer station with sign and your photo, video, and audio content will be featured on the 10.1” TV screen. 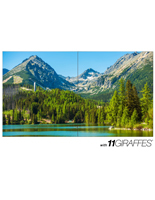 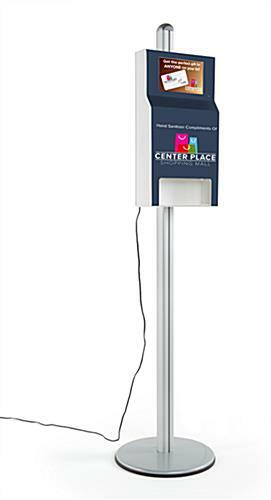 An included 8 GB USB drive allows ample space for uploading new and refreshing advertising material to the flat panel. 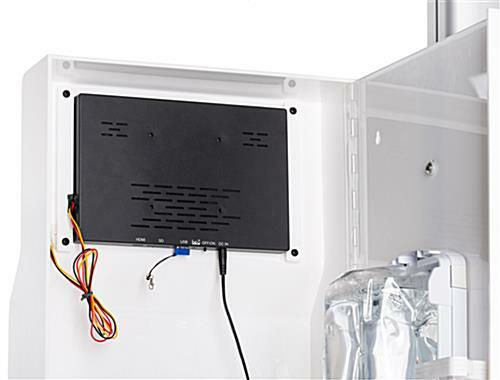 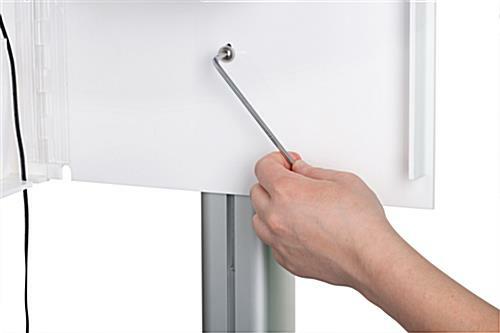 The enclosure opens allowing you to service the TV and update the photo, video or audio content as brand messaging needs change. 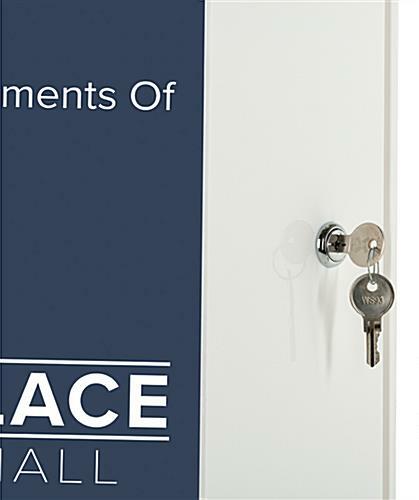 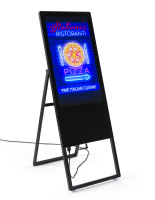 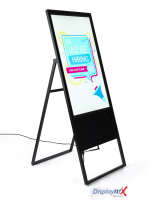 This screen is perfect for promoting upcoming sales, events or new products. 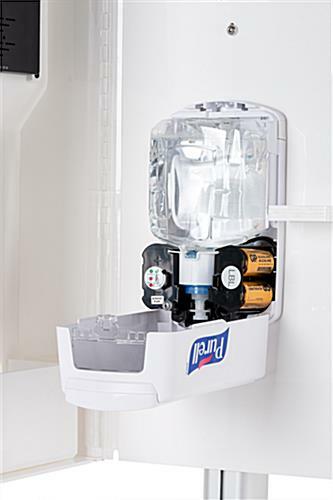 A battery-operated Purell® LTX soap dispenser with 4 D batteries sits within the freestanding locking acrylic enclosure. 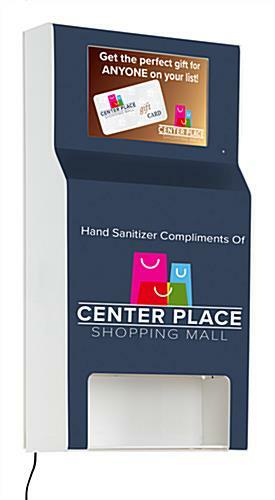 Pair with a 1200 mL sanitizer gel (not included) to start combating the spread of germs this flu season. 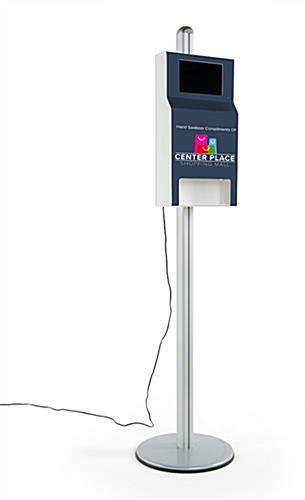 Any doctor's office, shopping center, school or other establishment with heavy foot traffic can benefit from adding this floor standing custom sanitizer station. 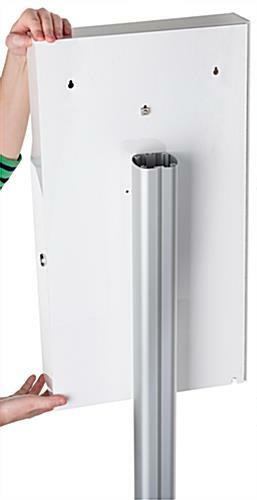 18.0" x 63.0" x 18.0"